Walnut, cinnamon, and freshly grated Fuji apples make peanut butter sandwiches something to look forward to. I love variety in my meals. I love sampling new foods and new food combinations. So it might seem paradoxical that I could happily eat a peanut butter sandwich every day for lunch. Jack… not so much. After a few consecutive days of peanut butter sandwiches, he diplomatically asks if we could change up the lunch menu. This year, I vowed to make lunches more interesting. Chili on rice, calzones, stew on baked potatoes, and salmon sandwiches have satisfied Jack’s need for variety. And so, with time ticking away toward the end of another year in the bush, I looked in the cupboard at the last third of our 80-ounce jar of Adam’s peanut butter. An idea! What if I made peanut butter sandwiches on fruit bread? Let me tell you how well this went over… When I asked Jack if he wanted salmon pizza or a peanut butter sandwich for lunch tomorrow, he chose a peanut butter sandwich! I’m not planning on going back to peanut butter every day, but we are both happy it is still in the rotation. In a large mixing bowl, combine flour, baking powder, cinnamon, and baking soda. Set aside. In another mixing bowl, combine sugar and applesauce. Mix well. Add eggs, one at a time, beating well after each addition. Stir in vanilla. Stir wet ingredients into dry ingredients until just moistened. Bake at 350 degrees F for 55 – 65 minutes, or until a toothpick comes out clean. We enjoy fruit breads and use the above recipe as a base. It’s easy to substitute different types of fruit and spices. 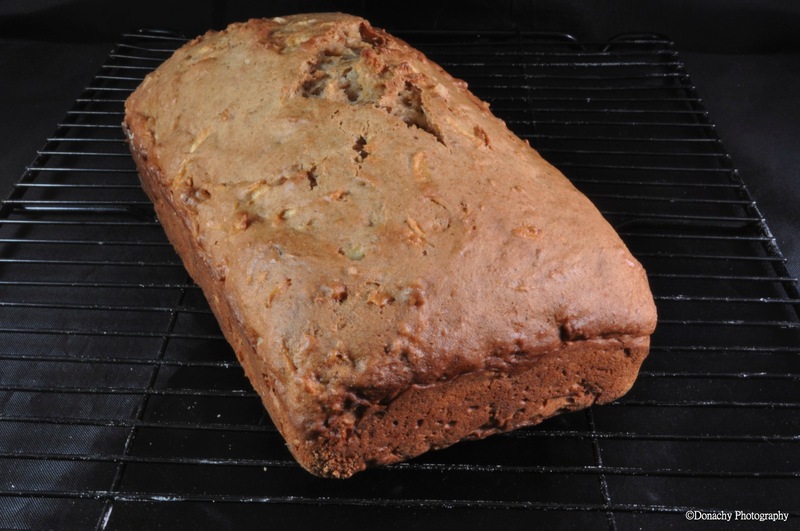 Pear bread with ginger and banana bread with cinnamon and nutmeg are two other favorite fruit breads that make excellent peanut butter sandwiches or breakfast toast. Interesting site for dried fruit and veggies. We try to use fresh and frozen fruit and veggies up here in the Arctic. The fresh and frozen (especially organic) don’t have any additives. The powdered fruit and veggies still have a preservative. It is something to look at for an alternative for really hard to find fruit. Thanks for pointing us to this website. I’ll have to leave the nuts out but otherwise it sounds pretty good. That’s the beauty of making your own…leave out what you want, put in what you want.